Today, 16 July, is World Snake Day! 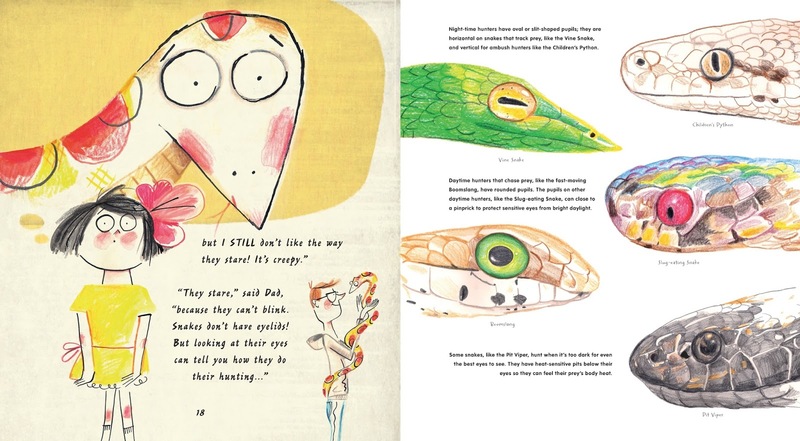 Whether you love them or fear them, know little or lots about them – we at Walker Books agree that snakes are fascinating creatures. 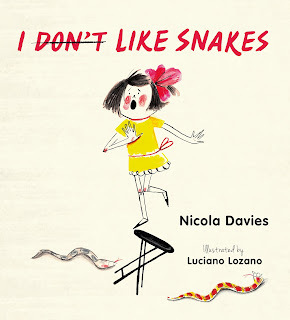 This month we publish a new non-fiction picture book written by award-winning writer and zoologist Nicola Davies and illustrated by Luciano Lozano, called I (Don’t) Like Snakes. 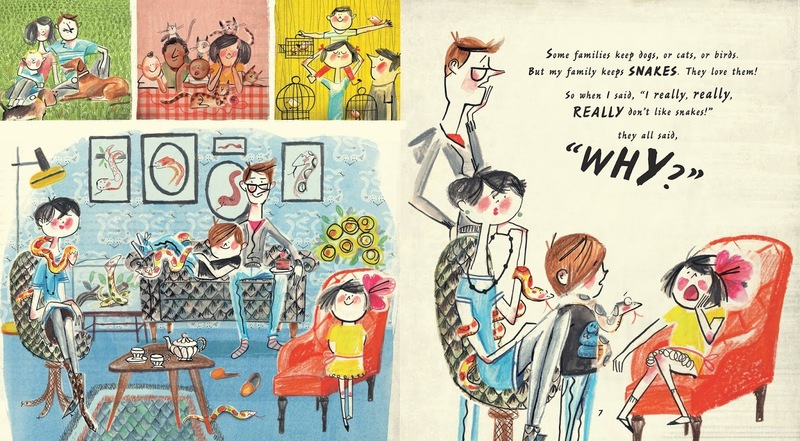 In this educational book, a little girl who does not like snakes is persuaded by her family (avid snake fans) that snakes are in fact fantastic creatures. Will they change her mind? You’ll have to read it to find out! Also, if you’re planning to visit London Zoo on Tuesday 26 August, you can meet Nicola Davies in person as she is running an event with ZSL herpetologist Iri Gill and ZSL Learning and Discovery Officer Charlotte Coales. The event is free if you have paid for zoo entry but you must book in advance.